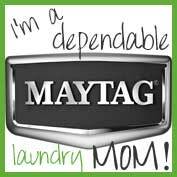 As you may remember reading in a previous post, I was lucky enough to be chosen as a Maytag Dependable Laundry Mom! With that designation comes the perk of trying out the new Bravos XL High-Efficiency Top Loading Washer and Steam Dryer in my own home. Since I'm a complete newbie to the Maytag brand and have never had the pleasure of owning a Maytag appliance personally, I wasn't quite sure what to expect. 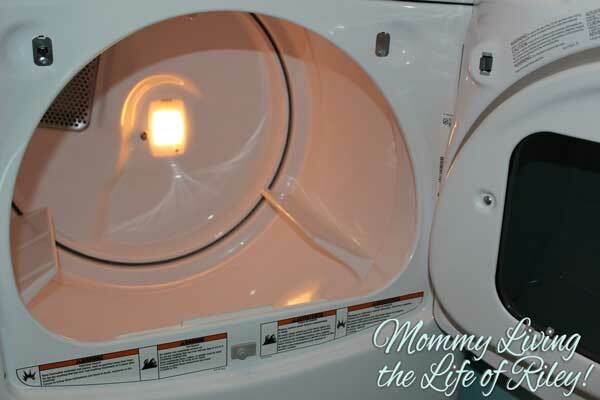 Be sure to keep reading to find out how Maytag has treated me thus far and how this washer and dryer pair have stacked up against my family's never-ending supply of dirty clothes! The one thing I've always heard about this brand from members of my family who own Maytag appliances is that "you will always be happy with their service". I know Maytag has been around for 100 years and that's a very long time, but honestly, I didn't expect their service levels to be any different from most anyone else's. If there was a problem, they would probably have knowledgeable staff that would help you via phone and if you needed someone in person, you might have to wait a few weeks for them to send someone out to help. That's where I was WRONG! Maytag has impressed me from the word go, even before I ever received the Bravos XL washer and dryer. One day before my install, a Maytag representative came out and spent almost an hour making sure that my washroom was set up just as it should be for the Bravos XL machines that were arriving the next day. He uninstalled my current machines, made measurements, cleared out the dryer vent area in our home, etc. He said over and over again that it was his duty to make sure everything went perfect on the big day of the official install and it did...almost! The folks from Maytag arrived with my beautiful new Bravos XL washer and dryer and my family couldn't have been more thrilled! They looked absolutely perfect in our washroom and had a humongous amount of space inside both the washer and dryer that I was already plotting on using for our king-sized comforter. The gentlemen involved in the install couldn't have been more professional and within 30 minutes, they had removed our old machines, installed the new ones and was successfully running the clean cycle in the washer. Now I'm not normally itching to do laundry by any means, but the Maytag Bravos XL looked so inviting and easy to use that I just couldn't resist. I threw in a load of dirty laundry and tried to wash our clothes on the Cold Wash cycle. Unfortunately, no water would come out! I just couldn't understand it since the machine was working earlier, but I gave my Maytag representative a call and even though he was all the way on the other side of Houston and in rush-hour traffic, he came back over to our house that night and fixed the issue so that we could wash our clothes! Turns out that the problem wasn't with the washer and dryer at all, but rather with our cold water valve. Apparently, they can lock up from time to time because they're not typically turned off and on much. 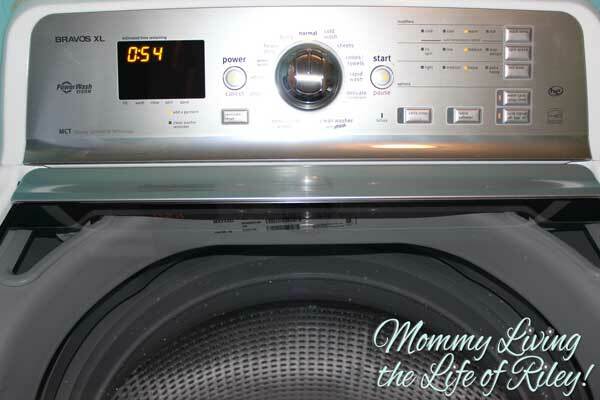 Within 15 minutes, our Maytag representative successfully fixed the issue and the Bravos XL HE Top Loading Washing Machine has been working perfectly ever since! I never in a million years expected to receive the level of professionalism, courtesy or dedication that I've experienced with Maytag. 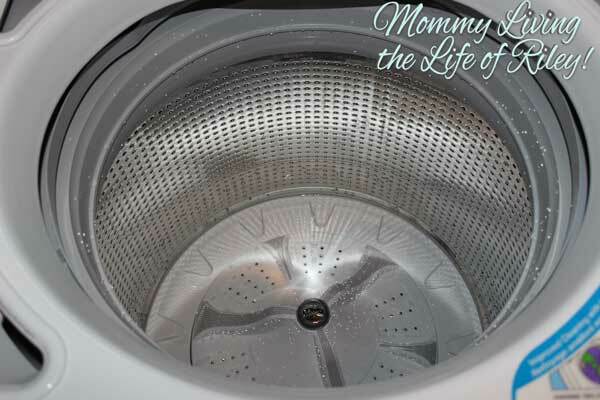 The Bravos XL is also hands-down the best washer and dryer I've ever owned and seems to continually impress my husband and I with its features and capabilities after each load of laundry. 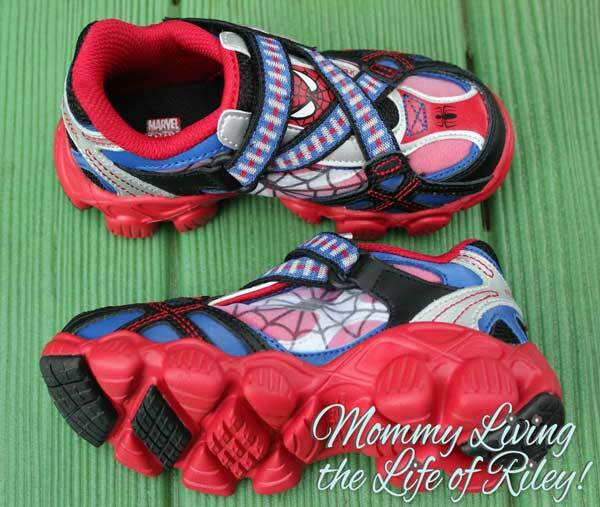 For instance, both my husband and daughter suffer from outdoor (and sometimes indoor) allergies. It is a rare morning indeed when my husband wakes up without sneezing his head off for about 10 minutes. That sneeze fest is then followed by a running, snuffly nose for most of the day. Naturally, I was intrigued once I learned of the Maytag Bravos XL's Allergen cycle. This cycle uses steaming hot water coupled with a larger volume of water to successfully flush out allergens, such as dust mites or pet dander, from normally soiled garments. This cycle removes more than 95% of allergens and made an immediate difference to the quality of sleep both my husband and daughter received. Powerwash Cycle, which just happens to deliver the best cleaning power in the industry. Knowing that I now have the Bravos XL HE Top Loading Washing Machine in my laundry arsenal makes me cringe much less when I see my family having fun and getting super dirty! At the one-month mark, I must honestly report that I couldn't be more thrilled with the quality, service or performance of the Maytag Bravos XL washer and dryer and the staff Maytag employs. For over 100 years, Maytag has designed dependable appliances to accompany your everyday life. 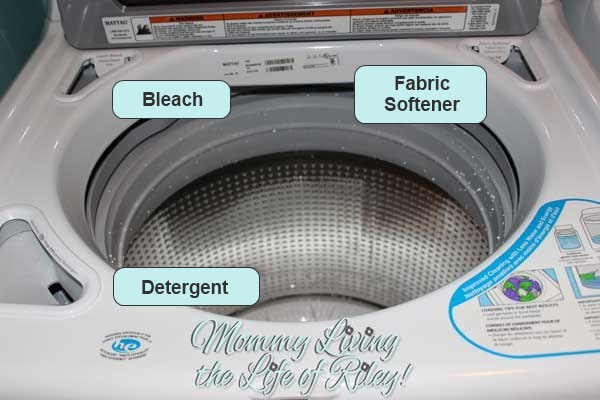 From making sure the stain gets out of your daughter's lucky socks before her soccer game, to leaving your son's favorite blanket clean and soft after his winter cold, Maytag washers and dryers continue to stand by your family adding a sense of reliability to life's unpredictable moments. Make sure to follow Maytag on both Facebook and Twitter for all the latest news, promotions and insider tips! 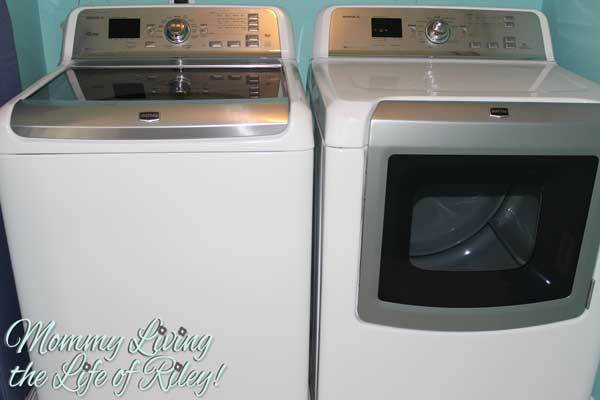 What features do you think are essential in a quality washer and dryer? 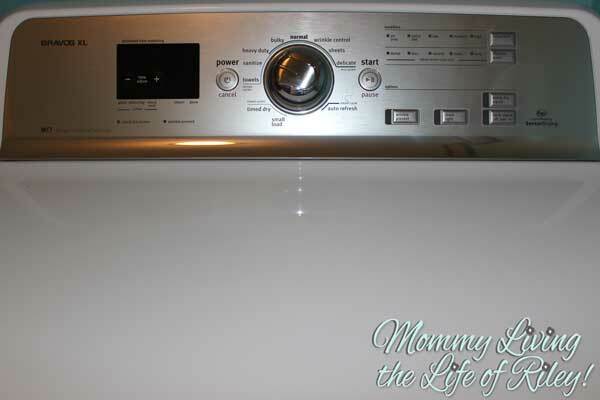 Disclosure: I wrote this post participating in an Maytag Moms Dependable Laundry Ambassador program by Mom Central Consulting on behalf of Maytag. I was provided with the Maytag washer and dryer set to facilitate my post.